Al Jazeera carries a story today about the manta ray trade in Sri Lanka Diminishing Ray of Hope. 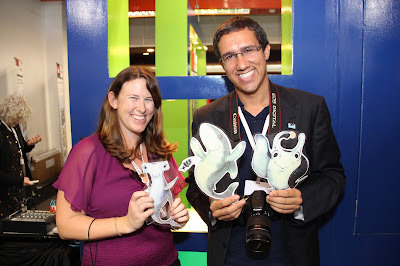 The story quotes Daniel Fernando of the Manta Trust, who was with us in Bangkok, Thailand earlier this month at CITES. Marine biologist Daniel Fernando has been surveying Sri Lanka’s fishing industry for over two years. Today, he is in the western coastal town of Negombo, at one of the country’s busiest fish markets. He is passionate about saving manta and mobula rays from extinction. Fernando carefully examines a pile of rays on the pier, collecting DNA samples for population studies. Researchers estimate that fisheries the world over net more than 100,000 such rays a year, mostly in Sri Lanka, Indonesia and India. Many catches remain undocumented. Until recent years, most fishermen avoided them. Their meat is cheap and they damage fishing nets when entangled. But that has changed. The burgeoning demand for their gill plates in Chinese medicine – said to cleanse human blood of toxins – has increased fishing pressure worldwide, turning subsistence fishery into a commercial export industry. Also a member of conservation group Manta Trust, Daniel fears the combination of slow maturation, long gestation and infrequent pregnancies means manta and mobula populations cannot sustain the slaughter. With a wingspan of up to seven metres, manta rays are believed to be at least 15 to 20 years old by the time they are ready to breed. A mature female usually produces one pup every two to five years, with each pregnancy lasting a year. Scientists estimate they live more than 50 years. KerriLynn Miller of the Pew Charitable Trusts visited Sri Lanka in the weeks leading up to CITES to conduct a shark fin and manta ray gill raker identification training. She wrote a blog Dispatch from Sri Lanka: Observing the Trade of Oceanic Whitetip Sharks in a Local Fish Market and posted photos of sharks and mantas being traded. Why does it always seem like it's "Chinese medicine" that causes people to hunt endangered species for one of their body parts? So sad.